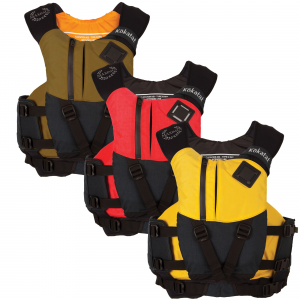 The Maximus Centurion Personal Flotation Device offers more storage than Kokatat's Maximus line without hindering mobility. The Dynamic Suspension System places neoprene at the shoulders for freedom of movement, and the Cordura shell stays strong while Gaia PVC-free foam provides best-in-class flotation. Adjustments at the center front and sides offer a secure, customized, and completely comfortable fit. The Maximus Centurion also features a full rescue harness with a quick release belt and tow tether attachements. 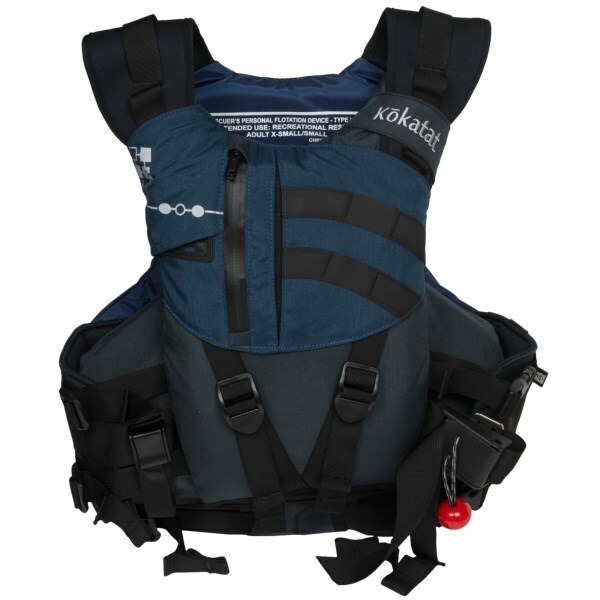 Kokatat hid the river tow tether between two foam panels to eliminate snagging. You can attach a river tow tether or touring tow tether to the side belt near the quick release buckle. The belly pocket has three organizers, one dedicated for a VHF radio, and the duplex pocket is large enough to store carabiners, pulleys, webbing, and a med kit. There's also a knife garage that eliminates snagging on re-entry. 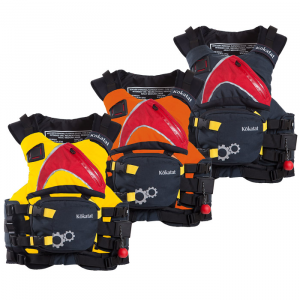 Kokatat Maximus Centurion Rescue PFD - The Kokatat Maximus Centurion Lifejacket is a Type 5 Rescue PFD featuring Dynamic Suspension System (DSS) with wide contoured shoulder straps allowing an independently suspended front flotation panel to move with the paddler and offer additional storage capacity. Kokatat Paddle Maximus Centurion-Orange-Small LVUMXCOR2. 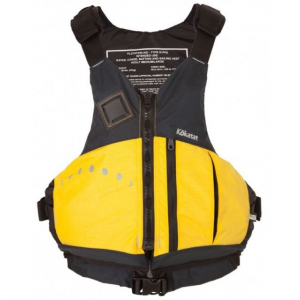 The Centurion is a Type 5 Rescue PFD featuring the Dynamic Suspension System (DSS). 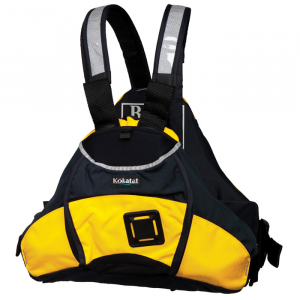 DSS features wide contoured shoulder straps that allow an independently suspended front flotation panel to move with the paddler. The Centurion is as comfortable as it's predecessors but with additional storage capacity and a redesigned top pocket that is more accessible. 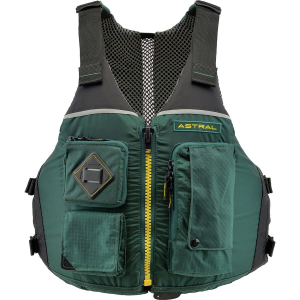 The vest comes standard with the accessory Belly Pocket that has three pockets for organizing essentials and will fit a VHF radio. Additionally webbing adjustments have been moved to the front of the vest for easy fit adjustments. 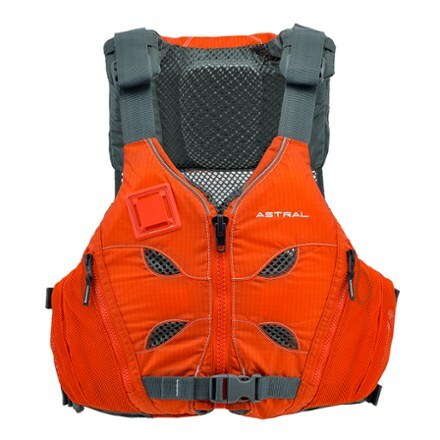 Made with all Gaia foam the Centurion also features a quick release safety harness with O-ring. The Centurion is USCG Transport Canada and European Union (ISO) approved.